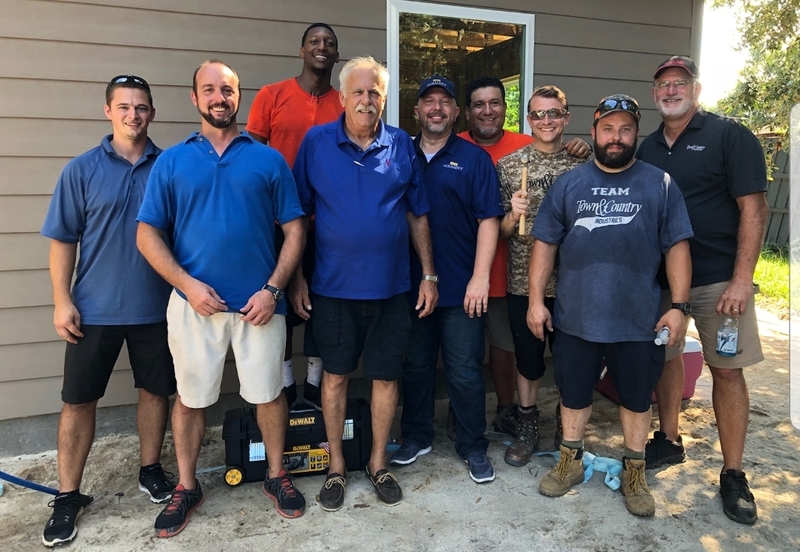 OAKMONT, PA (September 5, 2018) – Chelsea Building Products recently partnered with Coastal Empire Habitat for Humanity for a new home build in Savannah, GA, as part of Habitat for Humanity’s homeownership program. Chelsea Building Products worked with Town & Country Industries to supply and install Everlast® Advanced Composite Siding in Chestnut color, 6-7/8” planks. Everlast® is the ideal siding product for Habitat, whose vision is to provide quality, affordable, and energy-efficient housing for low-income families via collaboration with corporations, donors, community volunteers, and other philanthropic organizations. 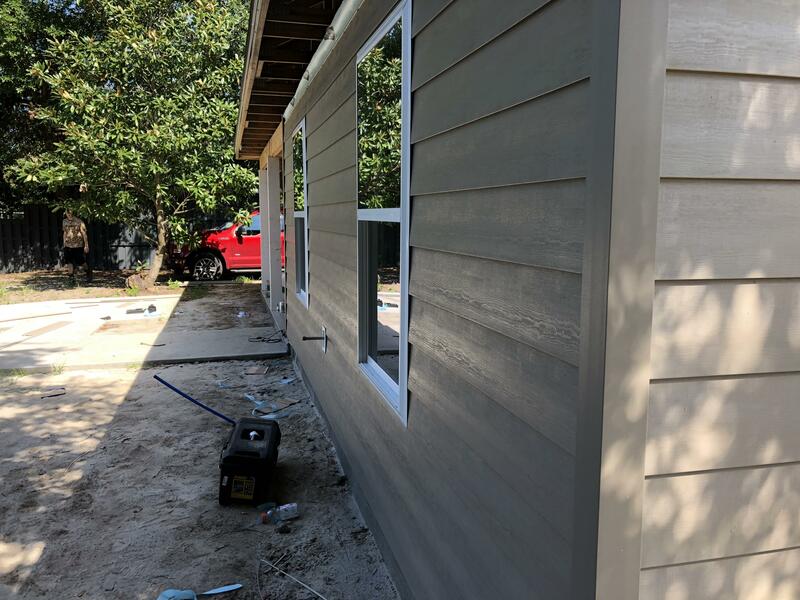 Everlast’s innovative design features an acrylic cap that is molecularly fused to the substrate so the siding will never peel, flake, crack, rot, or blister, making it ideal for Savannah’s coastal climate. Everlast® provides the look and feel of real cedar siding but with far greater durability – unmatched by any other siding product on the market and generating a true sense of homeowner satisfaction. 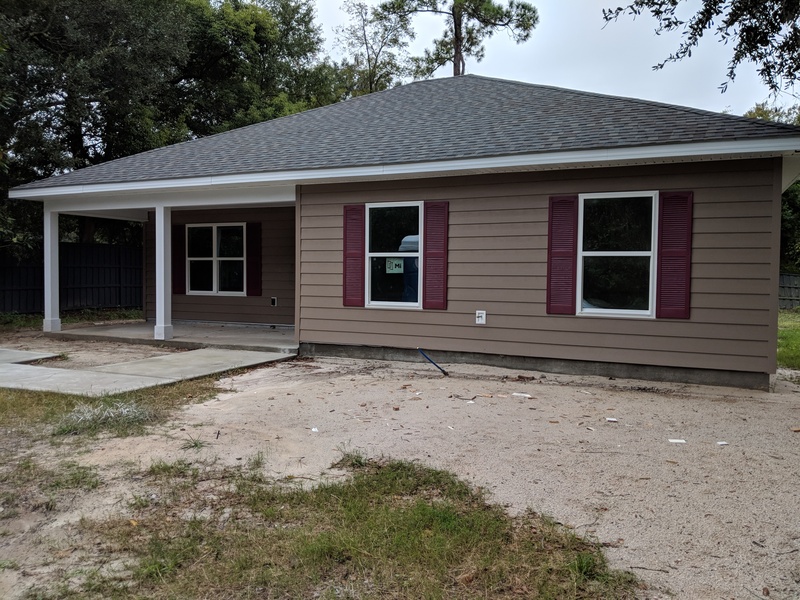 The ongoing homelessness issue in Savannah, combined with the lack of safe and affordable housing, makes organizations like Habitat for Humanity crucial in the community, and for many others like it around the world. By donating building products, manufacturers like Chelsea help Habitat cut costs, freeing up resources so more homes can be built. Habitat home builds often consist of volunteers with minimal or no construction experience, so utilizing products that even novice builders can work with is beneficial. Everlast® features an EZStack design that assures each panel seats firmly in the one below for a solid, level installation. The lightweight construction of the planks allows for easy transportation around the jobsite and single-person, omni-directional installation without the need for any special tools – perfect for teams of Habitat volunteers. The ranch-style home featuring four bedrooms and two baths is located in East Savannah.